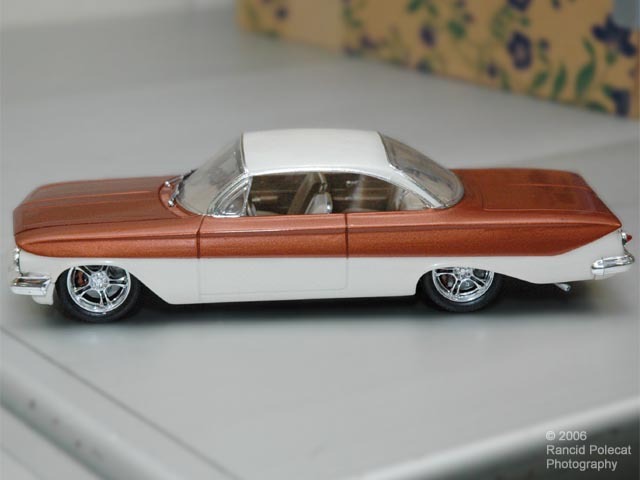 Harry used the custom front and rear suspension parts from a Revell 1956 Chevrolet Delray kit to lower the '61. He said they suspension pieces dropped right into place and required no modifications. The same Delray kit also supplied the stylish, over-sized five-spoke custom wheels, tires, and disc brake assemblies.